Why Visit the Museums in West Palm Beach? - Check This! View from the Harvey - Weekly column by Sandra Schulman, arts writer, music and film producer. Museums provide people the unique interactive experience of getting up close to things we usually only see in books, newspapers or on the television and besides that, there’s no shortage of research indicating the benefits of museum visits for children and adults. West Palm Beach is a city that actually has several cultural institutions and historic sites like museums that are internationally known. By visiting a museum you will possibly get much, much more out of your visit by simply seeing in real life things you’d previously just seen on postcards or heard about. If you have ever wondered why visit the museums in West Palm Beach, here are some reasons and what you will be thrilled to find there. 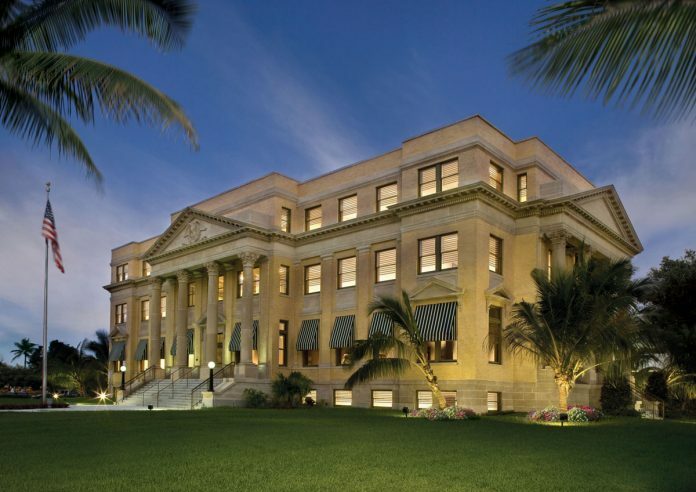 The Norton, the largest and most prestigious museum in Palm Beach County currently has several rotating exhibit spaces on the ground floor with two upper floors filled with permanent holdings of European and Chinese art. They host film screenings and After Dark events for a young-at-art crowd with live music. There is a smart little café for noshing and a fun gift shop with sculpture, cards and jewelry. There are great shows throughout the year including permanent collections of American, Chinese, European and contemporary art. The Museum’s collection of American paintings, sculpture, and works on paper contains approximately 1,000 works of art dating from the 18th century to 1960, with particular strength in the early 20th century. You will find at the museum significant works of art including: a painting by the Ming dynasty master Tang Yin entitled The Nine Bends River and the wondrous 13th century painting of Five Quail, which sends a subtle message about life in unstable times. The Norton Museum photography collection consists of about 3,000 photographs that span the history of the medium with significant works from Sophie Calle, Tacita Dean, Thomas Demand, Gilbert and George, Candida Höfer, Alfredo Jaar, Hiroshi Sugimoto, and Jeff Wall among others. spaces including a 9,000-square-foot sculpture garden. The renovation will totally change the interior and exterior of the museum, changing the entrance and opening up wonderful new light- filled spaces for exhibits. Established in 1992, this multi-location museum includes an Education Center on North Flagler Drive, and a Boathouse/Coast Guard Station along with the JFK Bomb shelter bunker on Peanut Island, accessible only by ferry boat. There are interactive exhibits, historically significant artifacts, maritime displays and occasionally an actual historic boat, such as the HMS Bounty, will come into port at the 5-acre Flagler Drive location. The Bounty sank during Hurricane Sandy a few years ago, so it was especially fortunate that the Museum brought it here. President Kennedy wintered in Palm Beach and needed a bomb shelter in case of a nuclear war with Russia and Cuba. The Palm Beach Maritime Museum on Flagler currently hosts a special feature exhibition on the historical USS Hornet with a 16-foot long model of the ship, as well as the figurehead of the new boat, a gilded eagle with a 10-foot wingspan. The South Florida Science Center and Aquarium is a place children should definitely pay a visit to. This is a hands-on science center, aquarium, planetarium, museum store, weekend programs, observatory, laser concerts, science trail, Egypt Gallery and mini galaxy golf with permanent and traveling exhibits and family-oriented activities for all ages. Here visitors will enjoy more than 50 hands-on educational exhibits, an 8,000 gallon fresh and salt water aquarium- featuring both local and exotic marine life, a digital planetarium, conservation research station, and the Florida Exhibit Hall to learn more about our state. There’s also a pre-K focused “Discovery Center” and an interactive Everglades exhibit. The Science Center’s new 3,000 square foot Aquariums of the Atlantic houses Florida’s most beautiful native fish, sharks, and seahorses as well as some immigrant fish that have invaded Florida’s habitat. The new aquariums take visitors through the depths of the famed Keys coral reefs, and help highlight and educate about Florida’s flora, fauna, and environments of the Gulf Stream and the Atlantic Ocean. With interactive kiosks, exhibits with artifacts, giant photos and display cases – the history of Palm Beach County comes to full color life at this museum in a historic courthouse. All of these elements tell the stories behind the colorful characters of the area’s swamp to riches past, including Pre-Columbian inhabitants, the persevering and thriving Seminole Indians, early pioneers, the magnate business and billionaire philanthropic community, and other famous figures. The Museum contains two permanent and some rotating exhibits. The People Gallery is a tribute to 100 individuals and families who have contributed to the areas growth and history. The Place Gallery has models and photographs exploring Palm Beach County’s famed and fragile environment as well as the animals and ecology that make it unique. Visitors can see a giant mosquito, a huge hanging banyan tree, indigenous snakes, fearsome alligators and a model of the poor postman who had to brave those elements in pioneer days, known as the “Barefoot Mailman,” who carried the mail from Palm Beach down to Miami. Special exhibits include memorabilia from local sports stars including golf great Jack Nicklaus and tennis champ Chris Evert. Up through June is “Courage Under Fire” about the exceptional history of the West Palm Beach Fire Department, which served as the only fire department in Palm Beach County for many years. Now, slow down and enjoy a visit to museums in West Palm Beach. You won’t regret it!